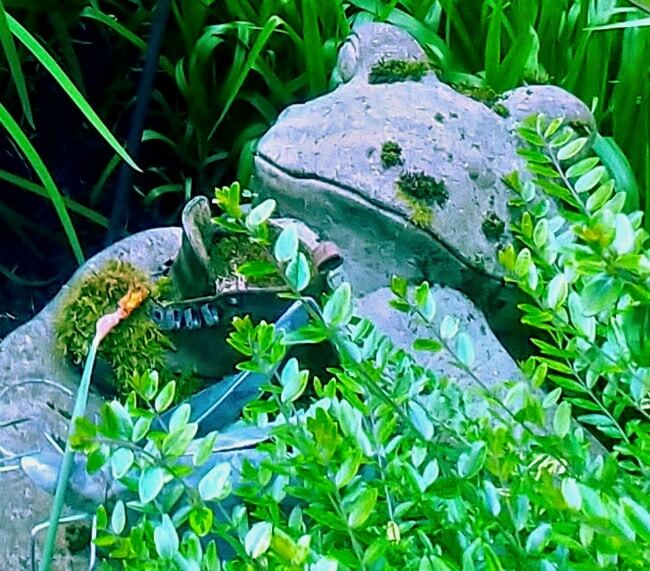 11 Unique Garden Art Ideas That Are Budget Friendly! 12 Unique Garden Art Ideas That Are Budget Friendly! 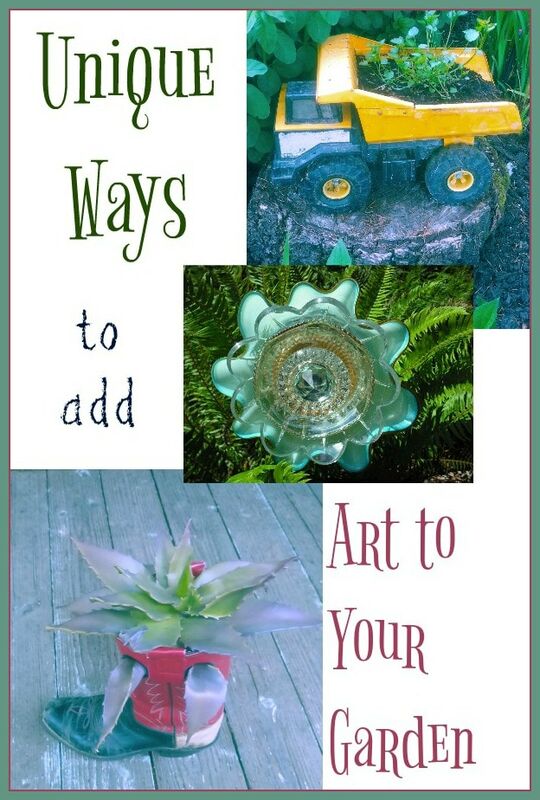 There are so many ways you can add art to your garden, without spending a ton of money. If you head to your local garden store, and look to buy pieces from there, you will likely be paying premium prices. However, garage sales, thrifty stores, antique shops, and just stuff other people want to get rid of can make great additions to your garden with a little imagination. 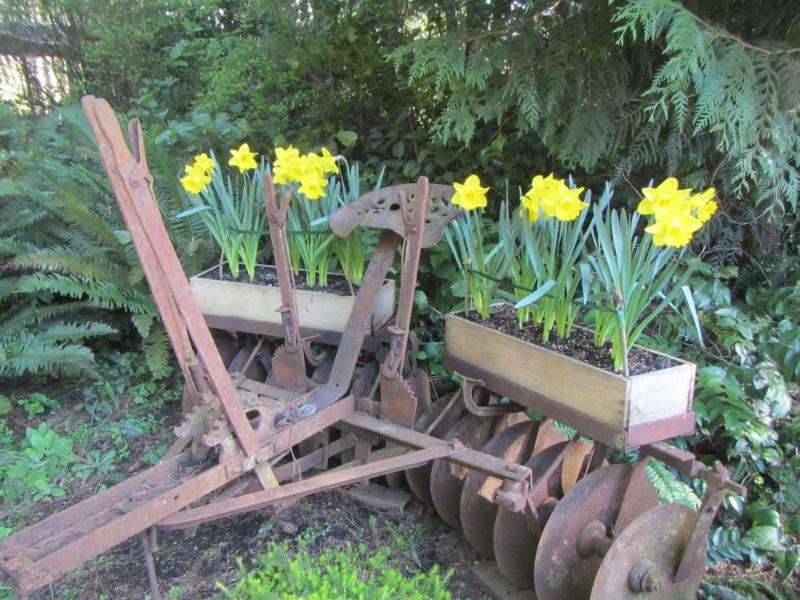 The key to affordable and unique garden art, is to re-purpose items that may have originally been created for a different purpose. 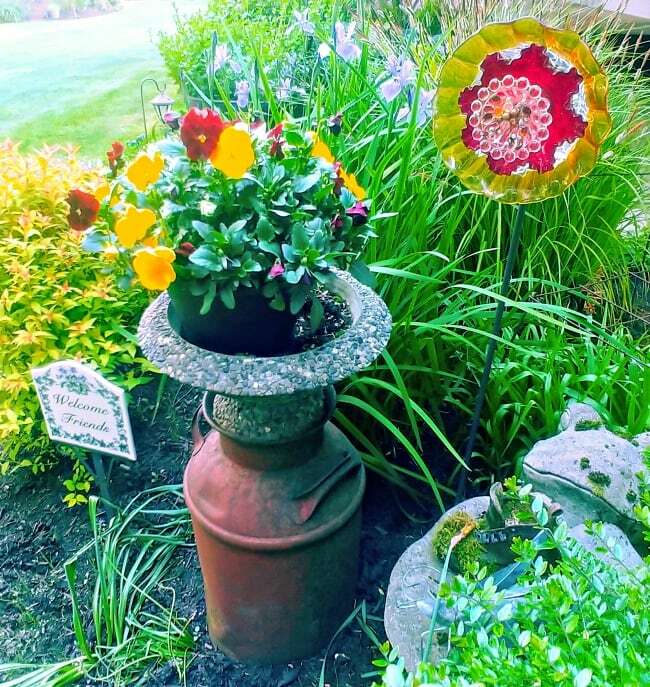 It will add lots of visual interest to your garden, make it one of a kind, and is also a great way to preserve memories. Here are some things we have added to our garden over the last few years, that help to break up the green, and add some visual interest. When you have fun planters, you can use more affordable plants too, helping you to really dress your yard up on a budget. The other thing I love to look for, are pieces that will carry a memory for you. We love to walk through the yard, and stop and remember how some of these pieces have been in our family before they were in the garden (like kids boots, old work boots, loved toys and more)! Here are some ideas we hope inspire you to turn your yard or garden into a place that means something special to you and your family for years to come. 1 – Use your kids toys in your garden, rather then get rid of them. Do your kids have toys that carry special memories for you? Rather then give them away, turn them into a unique planter for your garden. 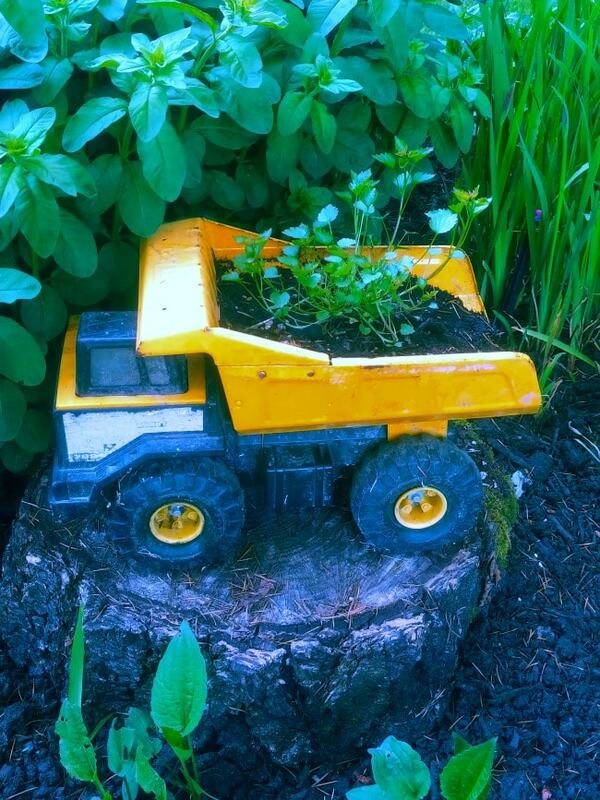 Dump trucks are an easy one to plant in, but you could use many toys in various ways (sit a loved doll under a favorite shrub, or make a fairy garden out of an old doll house, etc. We also use our kids trikes in the garden. You can balance a plant on the seat, as well as behind the trike on the part the kids could stand on. Plus, I love the red color popping in the garden. Really, you could use any old bike you want (and spray paint it any color you want. 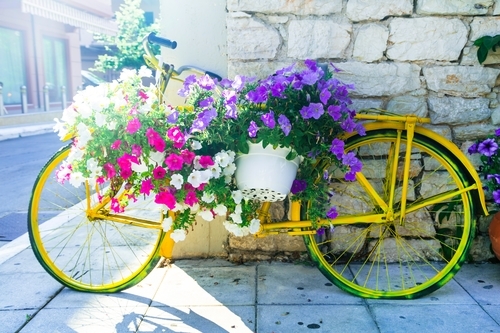 Add a flower pot to the seat, one over the back wheel of the bike, if you have a space there, and add a basket to the front of the bike to. It makes a fun statement. 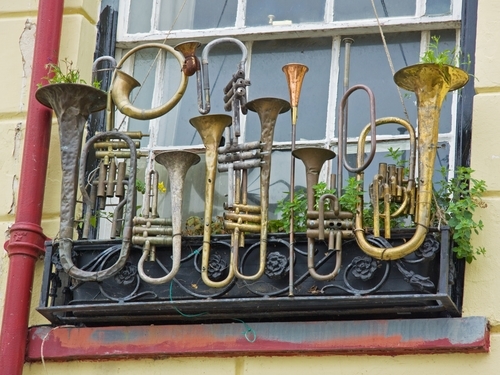 You could even use their old musical instruments! 2- Old machinery, or even cars, make big statements in a yard if you have the space! Find an old piece of machinery or something that has great character to it? 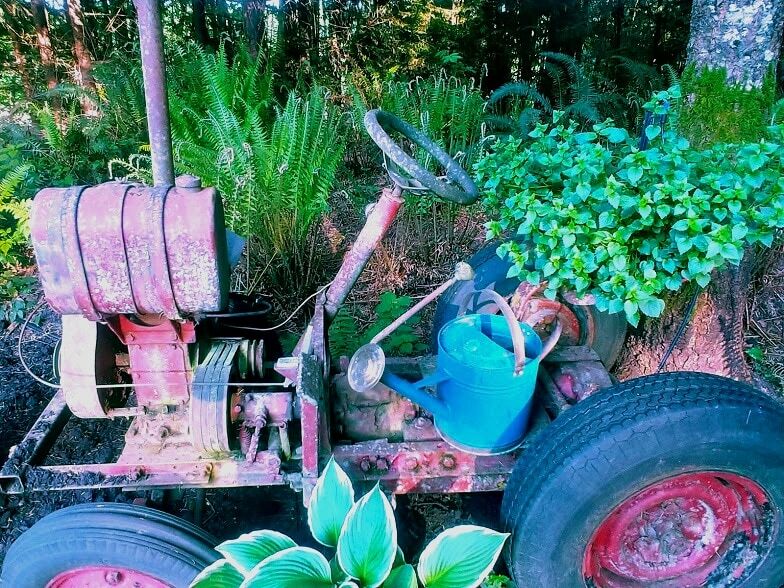 Put it in your garden, and plant flowers in the seat, or in an old engine. Or set a pot of flowers someplace on it. You can use so many different things for this kind of garden art, and it will be special and unique to your garden for sure! One of the keys here, is that you turn them into something of character, and they don’t look like they were just dumped in the yard like its a junk yard. Here is some old farm equipment that we build planter boxes for, to turn it into a unique planter. Here is an old truck that no longer runs. Add a sign, and a scare crow and its a fun way to welcome folks to your yard. 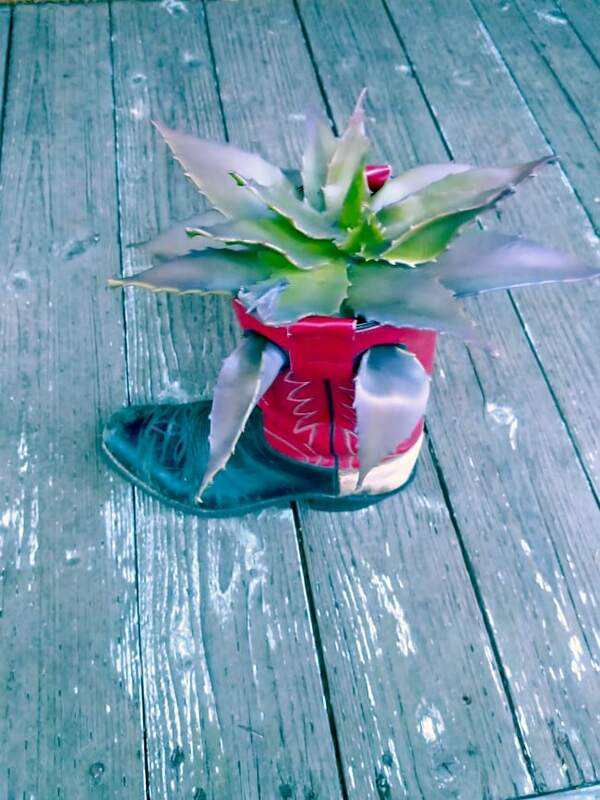 3- Plant in old shoes that carry a special memory! You can add succulents to so many different things. Add them in an old boot, or a baby shoe you want to keep. Your imagination is the only limit here. We have shared before how we love to plant moss and succulents in our kids baby shoes. It has been such a fun way to remember their toddler days. 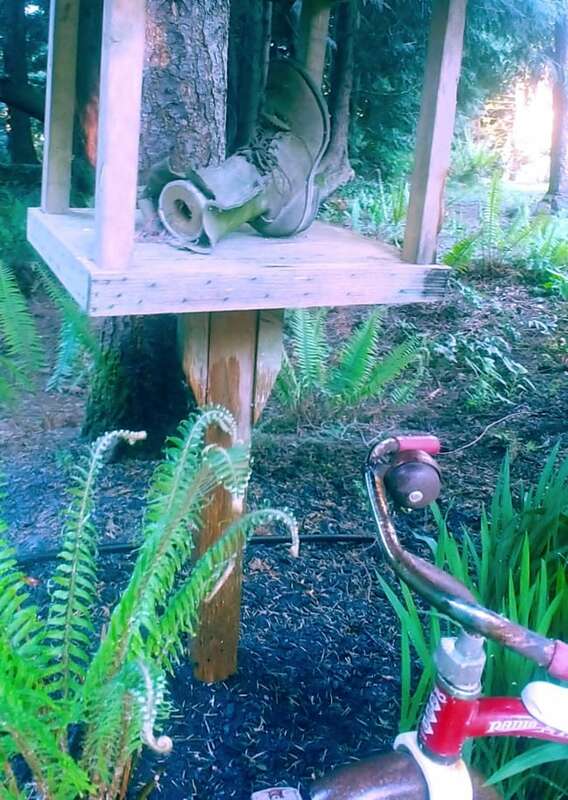 And here is an example of a work boot we turned into a bird house when it was retired from work, and no longer needed. 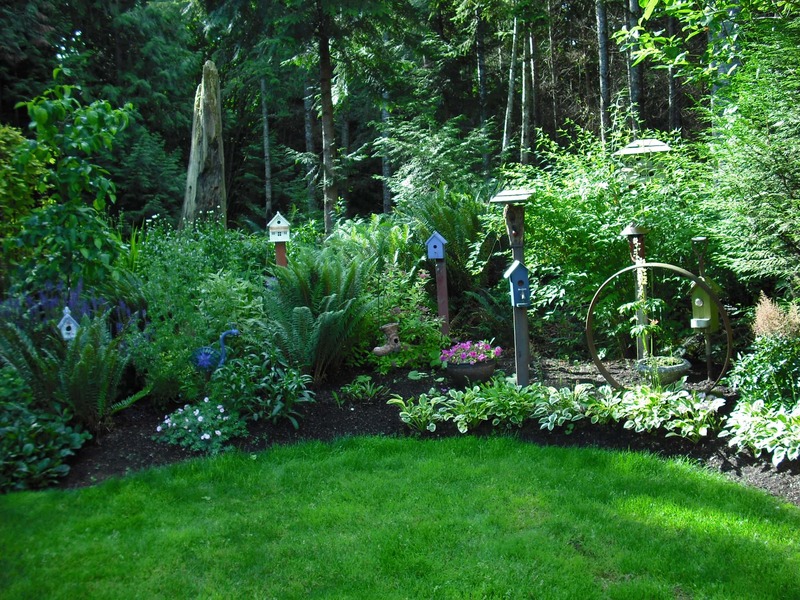 Its a great way to remember how hard you worked to now have time to spend in the garden. 4- Plant in old kitchen pots and dishes you no longer need (or find at the thrift store)! Plant herbs in a tea pot or a tea cup. This idea is especially fun if you plant herbs you can use in your tea (like mint versions), and it makes a wonderful gift as well! You could also add 12 small succulents to a muffin pan, or any other cool dish or pan from the kitchen. This idea is really fun to hunt for at garage sale and thrift stores, and it is a great way to save on fun planters! 5 – Turn a piece of driftwood, or a log, into a planter! 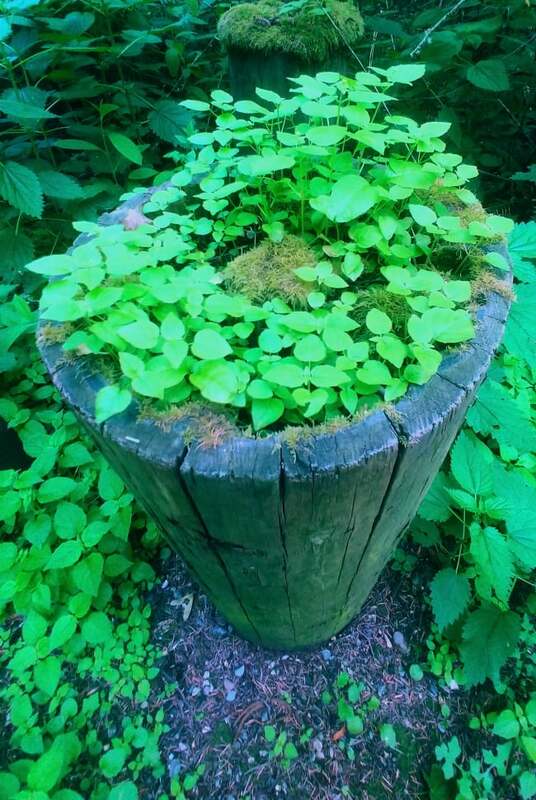 You can use a log that has some hollowed areas as a planter. Search your property, or forest for fallen branches that have holes in them too. You can look for driftwood on the beach too. 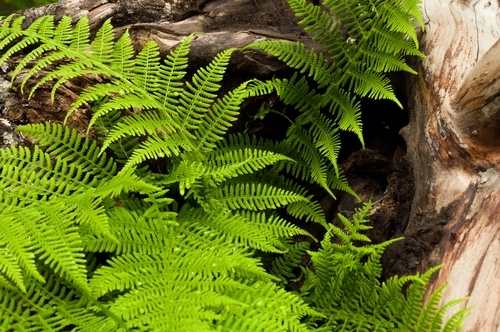 Also, look for trees on your property that might have a big hole in them, that you could add a fern too, for more interest! 6 – Upcycle dishes and bowls, into beautiful glass garden flowers. 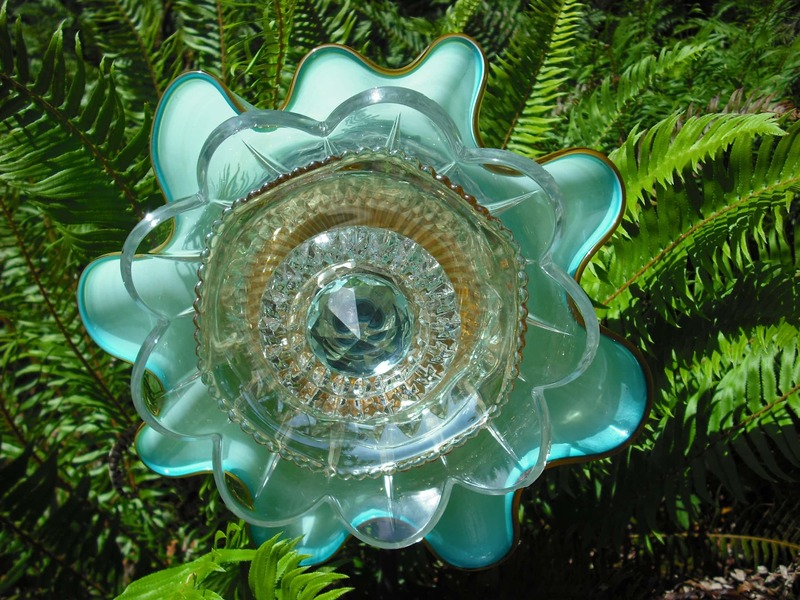 Make glass flowers for the garden by up-cycling plates, bowls and more. We show you how to make your own here, and it is one of our favorite ways to dress the garden up. Plus, they make impressive gifts for others! 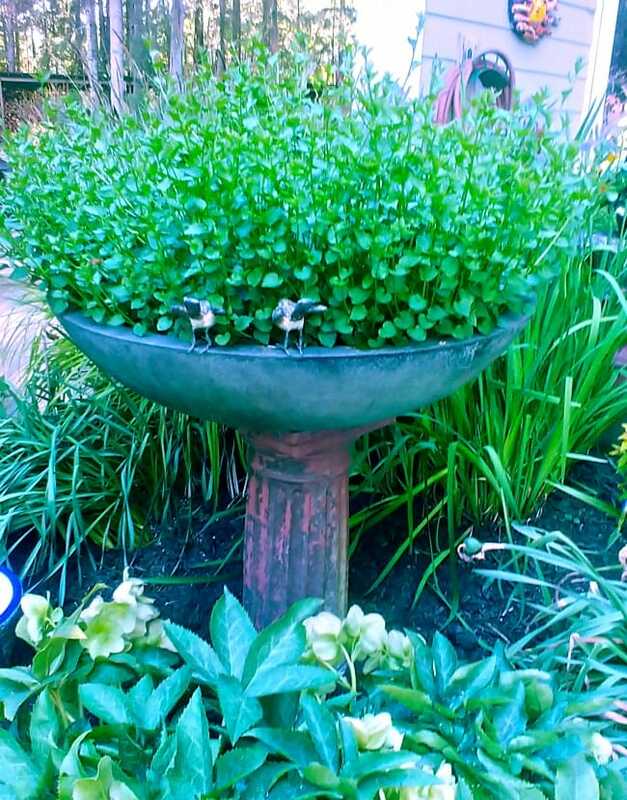 7 – Plant things in containers that are meant for other things & stack them on top of each other to add different heights to your garden. 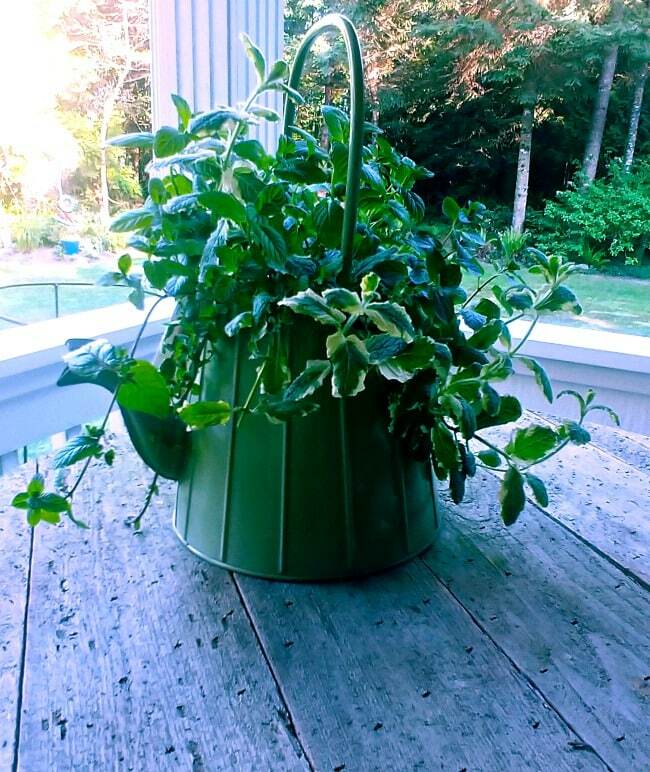 Use an old milk jug as a stand to give height to your planters. You can also use it as planter if you want. I have found old milk jugs for my garden at garage sales, and antique stores in the past. Balance one of those affordable aggregate rock containers on an old column base, for a cool looking planter. These are often more affordable then fancy pots, and this is a great way to make them have more visual appeal in your garden. Have an old rusty wheel barrow you are not using anymore? Add some dirt to it, and plant away. 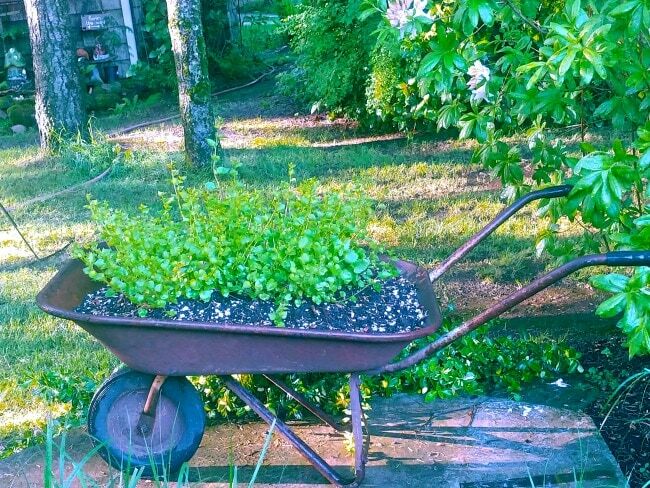 We have lots more ideas on using wagons as great flower planters here too. We have more ideas on what you can Reuse and Repurpose Items to Create Beautiful Planters on a Budget here too. 8 – Make a bird house garden! You do not have to use expensive bird houses. Get the wooden bird houses, and paint them fun colors, then put them on boards that you cut at different heights. This is more of an art feature, then real bird houses, but it is a fun conversation pieces. 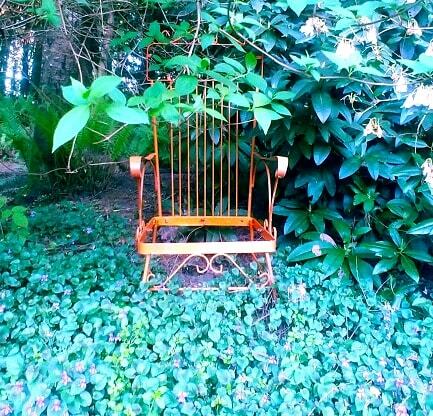 If you come across old metal furniture at a thrifty store or garage sale, pick it up and spray paint it a bright color, then add it to your garden. You could even put a planter in the seat area, to make it functional. Functional or not, it is a fun way to break up all the green of shade gardens with some fun color! 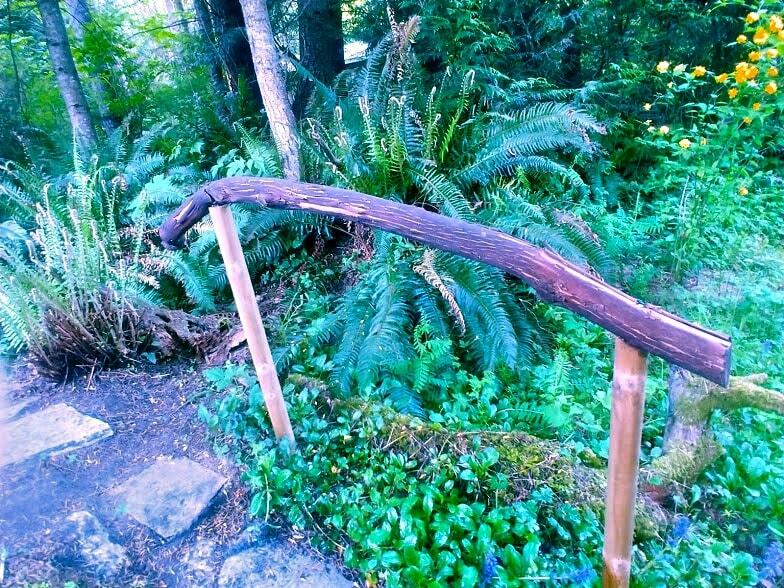 Define a walkway by making an organic looking rail. Find a curvy piece of wood, and nail to to the top of two straight pieces of wood that you have staked into the ground. It defines a walkway, but keeps things feeling like you are still in the woods, and blends right in with the scenery around you. 11- Use anything you can figure out how to plant in! 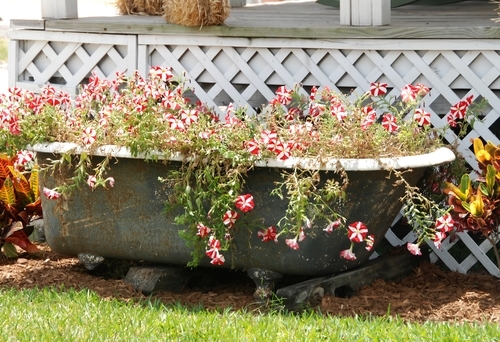 We used an old bathtub that we took out after remodeling, as a strawberry garden one year. You could plant flowers or anything in it though. Recycling Old Shoes For Garden Art – Make A Keepsake For Your Garden!